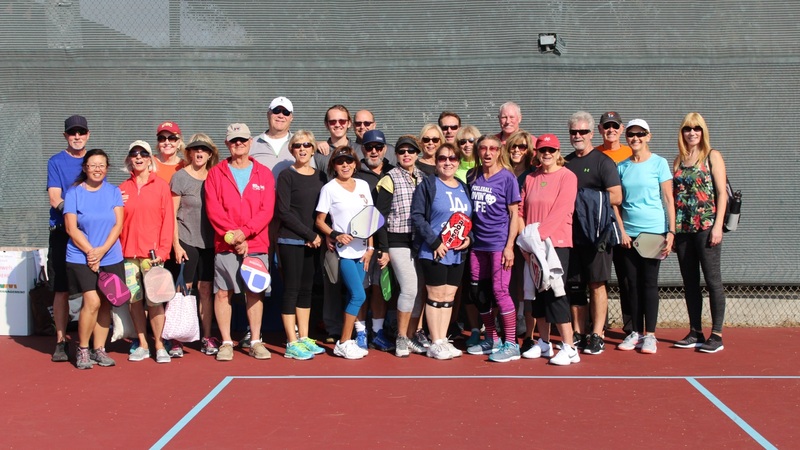 These socials take place at the Felipe Recreation & Tennis Center, located at 27161 Nogal. Divisions are "open" by skill level and may include both male and female players, with no age restrictions. All players will be guaranteed 7 matches against different players in their division, in a true round-robin format. No partner is needed, and players will rotate partners after each match. First to 11, win by 2 with 1 bye round. Medals for each division will be awarded to 1st, 2nd, and 3rd place. Deli lunch included, only $25 per player. Click on the links below to register online, or call 949-859-4348, extension 5722. Should your division fill up, please waitlist. Spectators welcome. Additional lunch tickets can be purchased onsite for $5 while supplies last for spectators. $25 per player; includes deli lunch and 7 round-robin games, with Medals for 1st, 2nd, and 3rd place in each division.